Samuel is the Head of Internal Audit. He is a graduate of the Institute of Professional Studies, now University of Professional Studies Accra. 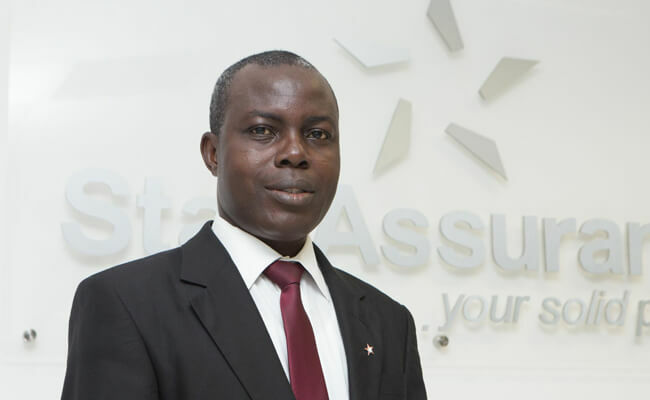 He is a Chartered Accountant and a member of the Institute of Chartered Accountants (Ghana). He also holds certificate in Taxation from the Chartered Institute of Taxation, Ghana and Diploma in Applied Insurance Studies from Ghana Insurance College. Prior to joining Star Assurance in September 2012, Samuel worked for PKF (Chartered Accountants) for almost ten years, leading several audit assignments. He also worked for Unique Insurance Company Limited. Samuel has keen interest in International Financial Reporting Standards (IFRS) and has led teams on several IFRS adoption projects. He has over fifteen years experience in the field of accounting and has attended several courses in audit, IFRS, insurance and management, both home and abroad.